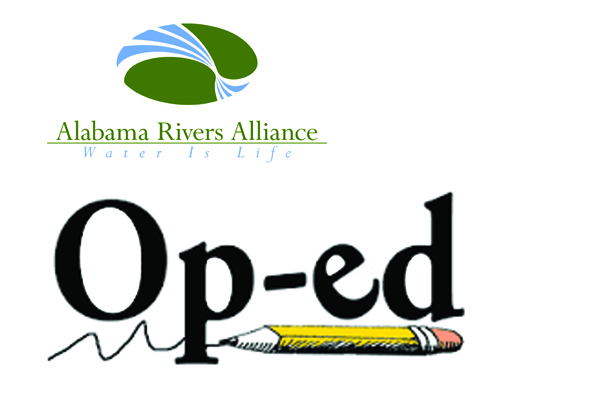 I have learned a great deal this year about storytelling, so I want to tell you the story of one of the most successful years in Alabama Rivers Alliance history. The year began with two brand new staff members and us undertaking a huge new program. We knew that we were going to have to raise at least $40,000 new dollars to support that new – and critical – program and the loss of a long time grant. Anxiety oozed from every pore of my body and the board of directors had knots in their stomachs knowing that this year was going to be a big leap of faith in — not only our staff — but in you as our ardent supporters. There wasn’t much time to dwell on the anxiety as the legislative session began early on January 9 and the new program, the Southern Exposure Film Fellowship, required immediate steps to begin recruiting film fellows and determining film topics with our partners across the state. Meanwhile, our 20th annual Alabama Water Rally was right around the corner in March! SPOILER ALERT: This turned out to be one of the most successful years ever for the Alabama Rivers Alliance and for the protection of rivers, streams and waterways in Alabama! As our new policy director jumped seamlessly into the shoes of his predecessor (who had worked nine years developing our policy programs and building relationships with policy makers), and our new development director hit the ground running with big goals laid out before him in this new position, it soon became clear that the right team was in place to meet all the challenges that 2018 could possibly throw at us. This year’s success would not have been possible without your support and we are asking you to continue being a part of this incredible effort by giving an end of year donation today! In April, we learned that our advocacy efforts had worked and Governor Ivey had renewed the effort to develop an Alabama Water Plan. Her letter directed the Alabama Water Resources Commission, a 19 member appointed Commission with oversight of the Office of Water Resources, to send her a roadmap for what it will take to get to an Alabama Water Plan. The Alabama Rivers Alliance staff has been there every step of the way and we expect to see this roadmap in early 2019. 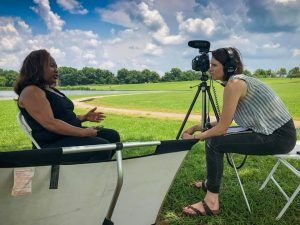 In June, we welcomed five emerging filmmakers from across the country to Alabama to create five short documentaries on coal ash, Alabama’s need for a water plan, local farming, individual activism, and the Cahaba Beach Road project. 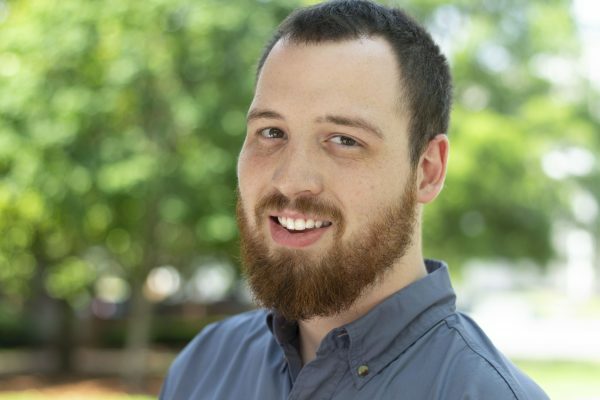 The film fellows were housed in Birmingham and they traveled throughout the state working with ARA partners and community members to produce five engaging films as part of the Southern Exposure Film fellowship program. The office was full and teaming with energy during these six short weeks. 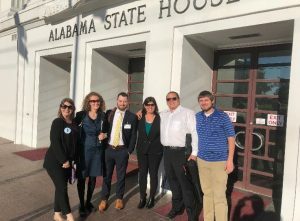 In July, a federal court ruled unanimously in favor of the Alabama Rivers Alliance and American Rivers by tossing a harmful license issued to Alabama Power for operation of seven hydroelectric dams on the Coosa River, addressing the longstanding problems the dams have caused for the river for the first time in decades! We, along with our attorneys from the Southern Environmental Law Center, charged that the 30-year license violated the National Environmental Policy Act, the Endangered Species Act, and the Federal Power Act without adequate environmental studies, without sufficient protections for threatened and endangered aquatic wildlife and habitat, and without requiring Alabama Power to maintain minimum dissolved oxygen levels in the river system for water quality. 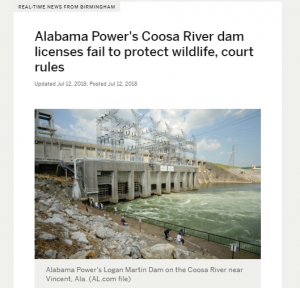 This court ruling is a result of more than 15 years of work by the Alabama Rivers Alliance and partners to ensure that these hydropower dams are licensed in a way that is protective of aquatic species and downstream water users. The power company and government agencies will now go back and repeat the process needed to ensure that a better license is issued for the operation of the dams. 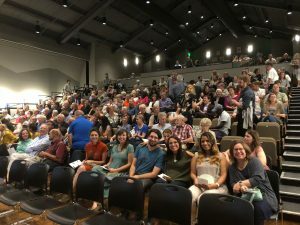 In September, the awesome Southern Exposure films premiered at The Altamont School in Birmingham to a packed house of more than 250 people. The films are also being used by our partners in advocacy around the important issues and have been screened to hundreds of people across Alabama including college classes, state and regional conferences, and community gatherings. The films will continue to be screened in even more locations throughout the year. BREAKING NEWS: THREE of the Southern Exposure films, Ashes to Ashes, The Accidental Environmentalist: Catherine Flowers and If They Build It, What Will Come? 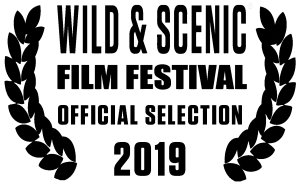 were selected among hundreds of entries into the national Wild & Scenic Film Festival and will be screened to thousands of attendees at their festival in January, as well as to thousands more across the country as part of their On Tour program! This is real evidence that our work to support local watershed groups and your donations to the Alabama Rivers Alliance actually can result in improved water quality! We continued our tried and true efforts in 2018 to travel the state, listening to partners, promoting and supporting watershed groups, and bringing groups together at our annual Alabama Water Rally, the largest gathering of clean water advocates in the state. The forces working against clean water are greater than ever. We have seen unprecedented rollbacks of environmental protections coupled with corruption at every level of our society all in an effort to keep industry polluters from paying to clean up their messes. Our success in 2018 is assurance that our voices and your contributions make a REAL difference. We need your support to continue to build on this year’s successes and make sure next year is even stronger! Please feel free to call me at any time to further discuss our work at 205-322-6395. The Alabama Rivers Alliance is a 501(C)(3) nonprofit organization therefore, your donations are tax deductible. P.S. We expect to continue to need your help and voice as we advocate for an Alabama Water Plan and more in 2019. As you probably know, social media is the most cost effective way for us to spread our message, get others involved in our important action alerts and to help others keep up with what is happening in the world of river protection. 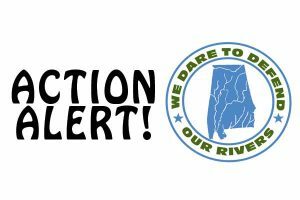 Please search Alabama Rivers Alliance on Facebook, Twitter, Vimeo and Instagram and share our posts and action alerts so we can amplify our message across Alabama!